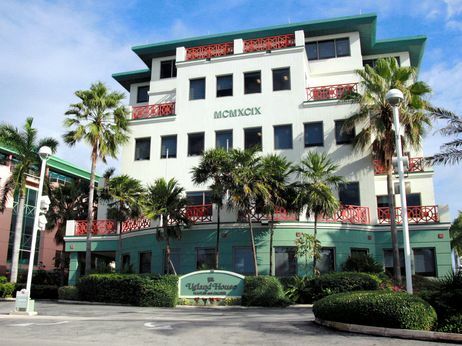 This building in Grand Cayman is home to nearly 19,000 registered entities, and has become a symbol of tax haven abuse. I am calling because I would like to urge Senator Wyden to oppose renewing the offshore tax loopholes called the CFC Look Through Rule and the Active Financing Exception, which are part of the tax extenders bill being considered by the Senate. Tax loopholes like these allow some corporations to shift their profits to off-shore tax havens and avoid paying their fair share of taxes. Not only does this cost our country money, it shifts the tax burden onto American taxpayers who can least afford it. In the developing world, this problem is so big that poor countries lose more in tax avoidance than they receive in aid, which also makes US foreign aid less efficient and costs us more money in the long run. -The Senate is considering renewing two tax loopholes that will cost taxpayers billions of dollars. -The two loopholes are called the CFC Look-Through Rule and the Active Financing Exception. -The CFC Look-Through Rule has cost taxpayers billions of dollars by allowing some corporations to shift profits to offshore tax havens. It will cost the country about $20 billion over the next decade. -The Active Financing Exception is an accounting gimmick that will cost nearly $60 billion if allowed to continue over ten years. -These types of loopholes are a major reason why developing countries lose more in tax avoidance than they receive in aid. This not only exacerbates global poverty, it undermines US aid efforts. -Tax havens are a systemic cause of global poverty, siphoning away hundreds of billions of dollars in tax revenue each year from both developed and developing economies. THANK YOU for contacting Senator Wyden and urging him to help build an economy that works for all of us! Your support means so much. Please share this web page with your friends, family and colleagues in Oregon.